While there were expected to be some 2018 HIPAA updates, the wheels of change move slowly. OCR has been considering HIPAA updates in 2018 although it is likely to take until the middle of 2019 before any proposed HIPAA updates in 2018 are signed into law. Further, the Trump Administration’s policy of two regulations out for every new one introduced means any new HIPAA regulations in 2019 are likely to be limited. First, there will need to be some easing of existing HIPAA requirements. HIPAA updates in 2018 that were under consideration were changes to how substance abuse and mental health information records are protected. As part of efforts to tackle the opioid crisis, the HHS was considering changes to both HIPAA and 42 CFR Part 2 regulations that serve to protect the privacy of substance abuse disorder patients who seek treatment at federally assisted programs to improve the level of care that can be provided. Other potential changes to HIPAA regulations in 2018 included the removal of aspects of HIPAA that impede the ability of doctors and hospitals to coordinate to deliver better care at a lower cost. These are the most likely areas for HIPAA 2019 changes: Aspects of HIPAA Rules that are proving unnecessarily burdensome for HIPAA covered entities and provide little benefit to patients and health plan members, and those that can help with the transition to value-based healthcare. 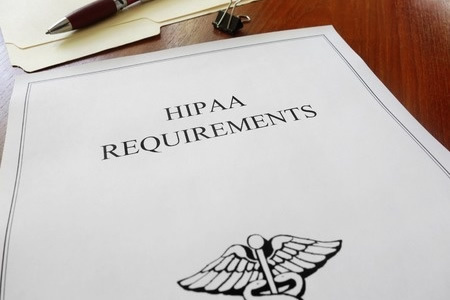 How are New HIPAA Regulations Introduced? The process of making HIPAA updates is slow, as the lack of HIPAA changes in 2018. It has now been 5 years since there was a major update to HIPAA Rules and many believe changes are now long overdue. Before any regulations are changed, the Department of Health and Human Services will usually seek feedback on aspects of HIPAA regulations which are proving problematic or, due to changes in technologies or practices, are no longer as important as when they were signed into law. After considering the comments and feedback, the HHS then submits a notice of proposed rulemaking followed by a comment period. Comments received from healthcare industry stakeholders are considered before a final rule change occurs. HIPAA-covered entities are then given a grace period to make the necessary changes before compliance with the new HIPAA regulations becomes mandatory and enforceable. OCR issued a request for information in December 2018 asking HIPAA covered entities for feedback on aspects of HIPAA Rules that were overly burdensome or obstruct the provision of healthcare, and areas where HIPAA updates could be made to improve care coordination and data sharing. The period for comments closed on February 11, 2019 and OCR is now considering the responses received. A notice of proposed rulemaking will follow after careful consideration of all comments and feedback, although no timescale has been provided on when the NPRM will be issued. It is reasonable to assume however, that there will be some at least some new HIPAA regulations in 2019. OCR was specifically looking at making changes to aspects of the HIPAA Privacy Rule that impede the transformation to value-based healthcare and areas where current Privacy Rule requirements limit or discourage coordinated care. Under consideration are changes to HIPAA restrictions on disclosures of PHI that require authorizations from patients. Those requirements may be loosened as they are considered by many to hamper the transformation to value-based healthcare. OCR is considering whether the Privacy Rule should be changed to make the sharing of patient data with other providers mandatory rather than simply allowing data sharing. Both the American Hospital Association (AHA) and the American Medical Association (AMA) have voiced their concern about this aspect of the proposed new HIPAA regulations and are against the change. Both organizations are also against any shortening of the timescale for responding to patient requests for copies of their medical records. OCR is also considering HIPAA changes in 2019 that will help with the fight against the current opioid crisis in the United States. HHS Deputy Secretary Eric Hargan has stated that there have been some complaints about aspects of the HIPAA Privacy Rule that are stopping patients and their families from getting the help they need. There is some debate about whether new HIPAA regulations or changes to the HIPAA Privacy Rule is the right way forward or whether further guidance from OCR would be a better solution. One likely area where HIPAA will be updated is the requirement for healthcare providers to make a good faith effort to obtain individuals’ written acknowledgment of receipt of providers’ Notice of Privacy Practices. That requirement is expected to be dropped in the next round of HIPAA changes. What is certain is new HIPAA regulations are around the corner, but whether there will be any 2019 HIPAA changes remains to be seen. It may take until 2020 for any changes to HIPAA regulations to be rolled out. Halfway through 2018, OCR had only agreed three settlements with HIPAA covered entities to resolve HIPAA violations and its enforcement actions were at a fraction of the level in the previous two years. It was starting to look like OCR was easing up on its enforcement of HIPAA Rules. However, OCR picked up pace in the second half of the year and closed 2018 on 10 settlements and one civil monetary penalty – One more penalty than in 2018. 2018 ended up being a record year for HIPAA enforcement. The final total for fines and settlements was $28,683,400, which beat the previous record set in 2016 by 22%. At HIMSS 2019, Roger Severino gave no indications that HIPAA enforcement in 2019 would be eased. Fines and settlements are likely to continue at the same level or even increase. Severino did provide an update on the specific areas of HIPAA compliance that the OCR would be focused on in 2019. OCR is planning to ramp up enforcement of patient access rights. The details have yet to be ironed out, but denying patients access to their medical records, failures to provide copies of medical records in a reasonable time frame, and overcharging are all likely to be scrutinized and could result in financial penalties. OCR will also be continuing to focus on particularly egregious cases of noncompliance – HIPAA-covered entities that have disregarded the duty of care to patients with respect to safeguarding their protected health information. OCR will come down heavy on entities that have a culture of noncompliance and when little to no effort has been put into complying with the HIPAA Rules. The failure to conduct comprehensive risk analyses, poor risk management practices, lack of HIPAA policies and procedures, no business associate agreements, impermissible PHI disclosures, and a lack of safeguards typically attract financial penalties. OCR is also concerned about the volume of email data breaches. Phishing is a major problem area in healthcare and failures to address email security risks are likely to attract OCR’s attention in 2019.